ANC president Cyril Ramaphosa is has come out strong in EFF leader Julius Malema’s hometown of Seshego, and even received a royal thumbs-up from the Moletjie Traditional Council. EFF leader Julius Malema addressed several questions including VBS, Zimbabwe farmers and the 'Gangster State' book disruption at a media briefing after launching the party's election advert at their headquarters in Johannesburg. Malema said the new dawn introduced by ANC leader Cyril Ramaphosa was showing South Africans "flames". He also said Zimbabwean President Emmerson Mnangagwa would not finish his term. EFF leader Julius Malema said member of parliament Thembinkosi Rawula tendered his resignation letter on Wednesday. The EFF leader has apologised while the party and Karima Brown await the determination of the IEC on a complaint filed by the journalist. Former EFF member Thembikosi Rawula has claimed Julius Malema and Floyd Shivambu both admitted in a meeting to taking money from the now liquidated bank. EFF leader Julius Malema unveils the party's first election television advert at a media briefing. EFF central committee member Thembinkosi Rawula says he kept quiet about the corruption because he was thinking with his stomach. Thembinkosi Rawula alleges that the EFF’s national leaders have been fleecing the organisation, while those who have objected to the practice are being chastised. Speaking at a wreath-laying ceremony at her home, EFF leader Julius Malema said that Winnie Madikizela-Mandela always wanted the African National Congress to change for the better. EFF leader Julius Malema has condemned recent xenophobic violence in Durban, telling his supporters that the EFF did not want xenophobic votes. 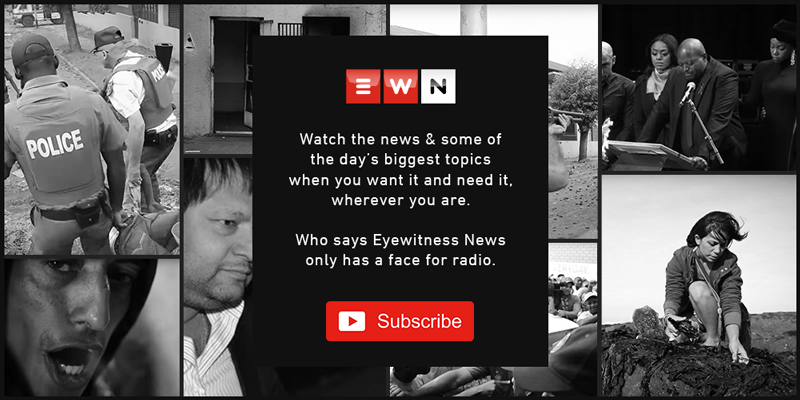 EWN unpacks the last decade of xenophobic attacks in South Africa. EFF leader Julius Malema says no one can rescue the ANC, not even the late Winnie Madikizela-Mandela or former president Nelson Mandela. He adds the ruling party is in a complete mess and has failed Madikizela-Mandela. EFF leader Julius Malema told the media that Dali Mpofu's picture with Mandela's daughters was all in good fun. The picture raised questions with many wondering whether Mandela's daughters had joined the EFF. Here's what Malema had to say. Karima Brown has faced incessant threats after EFF leader Julius Malema tweeted a screenshot showing her phone number, and called her an 'ANC operative', who is 'not a real journalist'. Julius Malema addressed a packed Philippi Stadium over the weekend during the party’s provincial manifesto rally. EFF leader Julius Malema’s African ideology has attracted the support of the Indigenous People of Biafra (IPOB) organisation. Economic Freedom Fighters (EFF) leader Julius Malema says that corruption is the same as murder because it can lead to the death of innocent people. EFF leader Julius Malema also used his address in Cape Town to call for free higher education and scrapping of university registration fees. EFF leader Julius Malema has urged his supporters to vote for the party if they want to see senior ANC leaders charged for their alleged crimes.